Manufacturers need insight across its operations, especially in a changing economic landscape, and diagnostics healthcare manufacturer, Quidel, discovered financial agility comes from dynamic reporting. Lengthy report processing and manual reformatting held up Quidel’s efforts to adapt to changes in the market or within the organization. But faster report processing in Adaptive Insights trimmed expenses and labor costs to an estimate of $40,000. Seamless integration with various data sources expanded visibility across Quidel’s operations. Now, with robust financial tools in hand, Quidel continues to navigate the changing landscape with its best financial foot forward. Quidel Corporation, headquartered in San Diego, California, is a leading manufacturer of diagnostic healthcare solutions serving to enhance the health and well-being of people around the globe. Quidel manufactures well-known and respected products, marketed under the leading brand name of QuickVue®, providing healthcare professionals with accurate and cost-effective diagnostic information at the point of care. The time savings have been huge. We’ve saved significant time across a range of functions because we no longer have to manually transfer and manipulate data to create reports. Cut time & costs, increase your ROI. Try Adaptive Insights free for 30 days. Quidel Corporation, headquartered in San Diego, California, is a leading manufacturer of diagnostic healthcare solutions serving to enhance the health and wellbeing of people around the globe. Quidel manufactures well-known and respected products, marketed under the leading brand name of QuickVue®, providing healthcare professionals with accurate and cost-effective diagnostic information at the point of care. With North America and international sales generating some $159 million in 2011 revenue, forecasting and reporting has long been important to Quidel. For some years the company had used spreadsheets for forecasting and Prophix for planning, but the company found Prophix difficult to work with and felt it lacked flexibility – especially because users couldn't generate their own reports. Creating variance reports was cumbersome because of the time-consuming manual process required to extract data from its Baan enterprise resource planning (ERP) system and reformat it before bringing it into Prophix. Reports were run only on a monthly basis, generally with a one-week or longer lag for transferring data and preparing it for reporting. "The manual import from our ERP system was very time consuming because our version of Prophix required the use of templates to distinguish what function data belonged to," says Tyler Tracy, Manager of Financial Planning and Analysis at Quidel. "After we downloaded the GL data, we had to manually concatenate it with other figures in order to identify manufacturing versus non-manufacturing departments before upload into Prophix. The process was very manual." workable with 40 users, reporting was left to the Admin/FP&A group," Tracy says. "This made us reluctant to do reporting beyond absolute necessities. Running reports could take a couple of days. It was a nightmare." The difficulty of working with its existing planning and reporting system was compounded after the acquisition of Diagnostic Hybrids, which had a different ERP system and a different chart of accounts. Quidel needed a forecasting and reporting solution that included faster and easier to use reporting, and that could help the company gain insight into its total operations, including Diagnostic Hybrids. Diagnostic Hybrids was already using Adaptive Insights, for planning and reporting when acquired by Quidel. Impressed by what they saw, Quidel opted to deploy Adaptive Insights for all of its planning and reporting needs. Tracy notes: "We considered continuing with Prophix, but Adaptive won hands down because of its multi-instance capabilities, along with the ease of reporting." Diagnostic Hybrids currently uses a different ERP system and chart of accounts than Quidel, although Quidel has plans to migrate them to its Baan ERP system, followed by a company-wide migration to the Infor10 ERP system. The Adaptive Insights multi-instance capability makes it easy for Quidel and Diagnostic Hybrids to each plan and report in its own instance of Adaptive Insights, each using its own chart of accounts. A simple one-time mapping process made it easy to translate segments from the Diagnostic Hybrids chart of accounts to the Quidel chart of accounts for automated company-wide consolidation of data, providing executives with an integrated view of operations. Quidel was also excited to move from its previous on-premise system to the software-as-a-service delivery model of Adaptive Insights. Adaptive was ready-to-implement, with next-to-no set-up expenditures. The ease of implementation and use and low cost made Adaptive Planning highly appealing for replacing the legacy Prophix application. The company takes full advantage of Adaptive Insights functionality, including Cube Sheets for planning multi-dimensional data, such as business units, product families, and countries. Multi-dimensional sheets are also used for R&D project expense planning. The company also uses Adaptive for revenue and capital planning, plus business unit planning and reporting, and is planning to expand use of Adaptive to project planning and reporting. Quidel uses Adaptive Planning for a wide range of reporting, including budget to actuals, actuals to forecast, and current actuals to prior year actuals. The company uses two Adaptive Insights' Connectors to data import and export between Adaptive Insights and its other enterprise systems. Working with the Adaptive Insights Professional Services team, Quidel deployed Adaptive Connectors to import data from two separate databases within its ERP system – one for actual expense data, the other for actual revenue data. The benefits Quidel gained from Adaptive Insights are found in this customer success story. 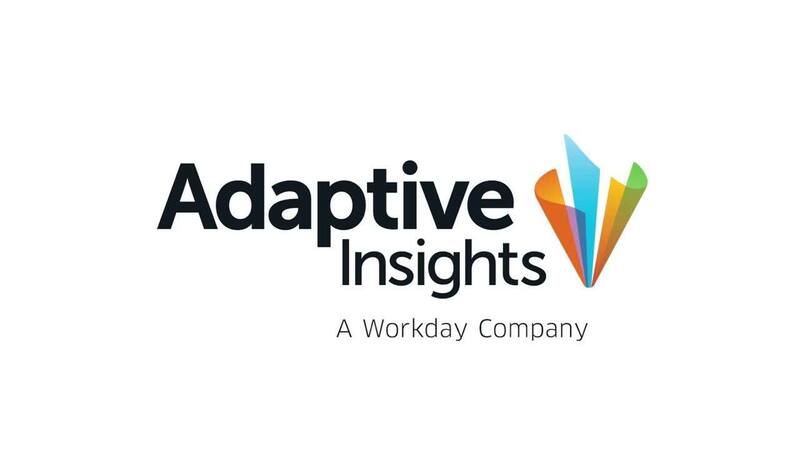 The company is so impressed with Adaptive Insights that it plans to expand the number of people using it. "Currently we have five people who regularly use Adaptive Insights, and another 15 or so who frequently log in to run reports," Tracy says." Our plan is to get everybody to become skilled users so they can run their own reports at more regular intervals." Quidel has enjoyed a number of benefits since moving from Prophix to Adaptive Insights, including a faster planning and reporting process that provides savings of more than $40,000 per year, better visibility into the business through using multiple instances of the solution, the flexibility to react to changes, and self-service reporting. "The time savings have been huge," Tracy says, in summing up one of the biggest benefits Quidel has seen from its move from Prophix to Adaptive Insights. "We've saved significant time across a range of functions because we no longer have to manually transfer data and restructure it in order to create reports. It used to take us a week each month after the books closed. Now we import data in just minutes during month-end close. This allows us a preliminary look at the financials, giving us time to identify and correct missed accruals and expenses. Then we can have information to people in real-time." Tracy was so impressed by the time savings that she created a return-on-investment analysis, which looked at hours saved by analysts, FP&A management, IT resources, and by employees logging in as remote users, and found some $45,000 in annual savings. "We determined the project had a payback time of one year and an NPV cash flow of $41,826." Quidel faced a challenge common to many companies involved with acquisitions and mergers: How to obtain a holistic view of the combined company when dealing with multiple business entities, each with its own ERP system and chart of accounts? The answer was found with the ability of the Adaptive Insights multiple instance capability – in this case one instance for Quidel, which serves as the corporate planning and reporting instance, as well as the consolidating parent instance, and another for Diagnostic Hybrids, which functions independently but is seamlessly consolidated with the parent instance. A simple one-time mapping process made it easy to translate segments from the Diagnostic Hybrids chart of accounts to the Quidel chart of accounts for automated company-wide consolidation of data. "Prior to our deploying Adaptive, it was very difficult to get a complete view of our operations because of the different ERP systems," Tracy says. "We couldn't speak the same language. Every month we spent a lot of time manipulating data to get things to properly fit together. Things are so much easier now. We can go into either instance and find exactly the information we need. We've gained better visibility into our operations." The company's previous planning application was used only for once a year annual operating planning, with other forecasting work done in Excel spreadsheets. The process was cumbersome and time consuming, making it difficult to react to market or organizational changes. "Adaptive Insights allows us to be a lot more accurate in our planning because it is so much easier to update information as needed," Tracy says. "As soon as we finalize the annual budget, things have already begun to change, especially in the area of R&D, or if there is a department reorganization, or changes to revenue streams. We now have the flexibility to immediately react to keep information relevant and up to date." Managers and other business users at Quidel can now access actual and plan information whenever they need it, which stands as a major advancement over their previous system, in which monthly reports were distributed after a week-long or longer lag after closing. "Our users now have access to the data they need any time they want," Tracy says. "With our old solution somebody in our group had to go run the reports for them. Now they can access the reports on their own and see where they stand at any point in time, which means they can make timely course adjustments. They can do a lot of different things that they just did not have the ability to do before." The ready access to information helps managers to better control their operations. "They now have more of a real-time access to information which helps them better analyze their business, and to have a clearer picture of what is happening within their groups," Tracy says. "Gaining this kind of visibility is a huge benefit, and our people love it." Adaptive Planning allows us to be a lot more accurate in our planning because it is so much easier to update information as needed. We now have the flexibility to immediately react to keep information relevant and up-to-date. See Adaptive Insights software in action. Watch an online demo.